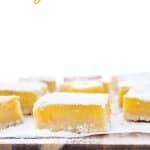 This easy recipe for Gluten Free Meyer Lemon Bars is one you have to try! They’re tangy, sweet, and have a crisp shortbread crust. They’re simply irresistible! Happy Spring, my friends! Can you believe spring has finally arrived? It hasn’t quite ‘sprung’ yet but I’m definitely ready for it. 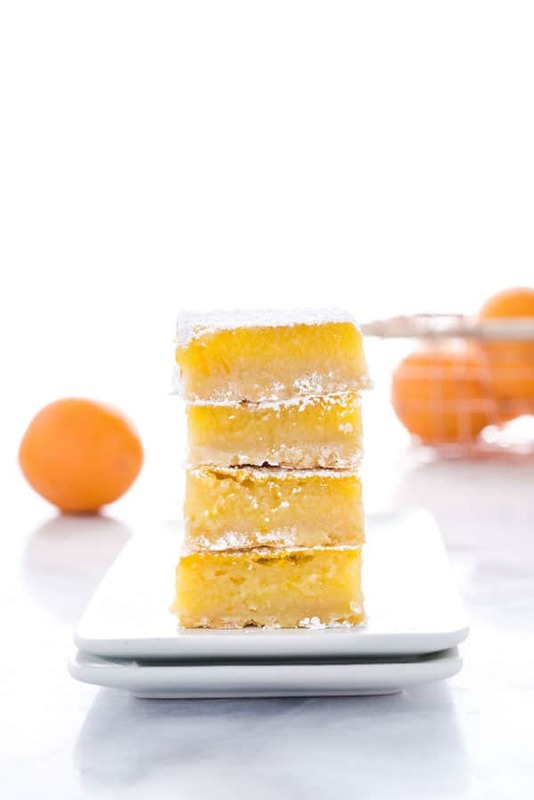 Nothing screams Spring quite like citrus, amiright? It’s so bright and fresh, definitely something we want our weather patterns to be emulating. Hello, Mother Nature – check that memo why don’t you?! 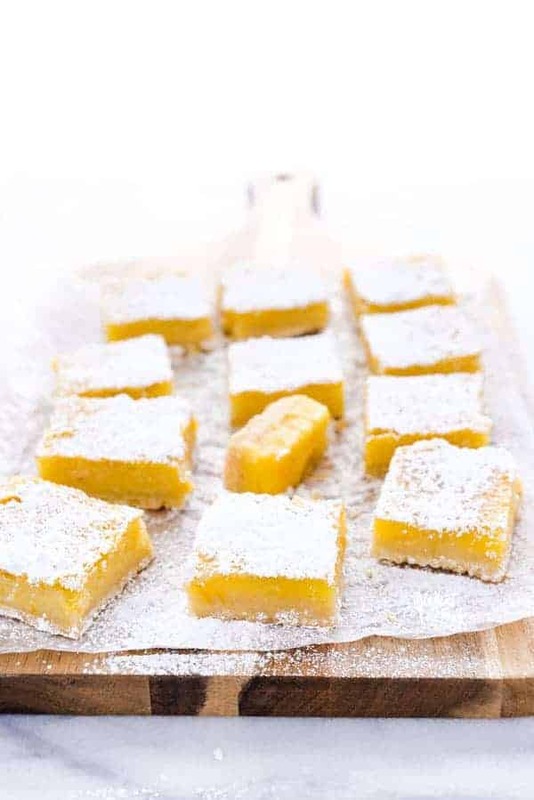 While it might still resemble Winter outside, we can pretend that’s not happening with a plate of these glorious gluten free Meyer Lemon Bars. Yes, glorious. Because we love alliteration around here these bars truly are spectacular. Do yourselves a favor and read the notes here on why I’m using salted butter, when to pull these out of the oven to keep that smooth and creamy filling from over-baking, and why you shouldn’t use a metal pan. You may notice in the ingredients list that this recipe calls for salted butter. Yes, you read that right! S A L T E D butter! Why? Because I like using salted butter in the shortbread base. 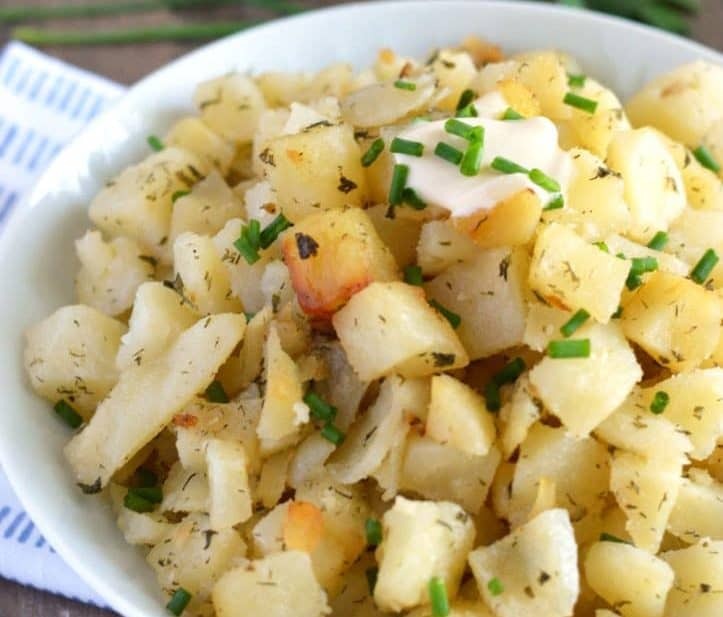 It’s once less ingredient and I prefer the flavor of salted butter in this recipe. I don’t always use salted butter but I find that in recipes with very few ingredients, it provides just enough depth of flavor without making things salty. Gluten Free Rice Krispies Treats are a prime example of that. 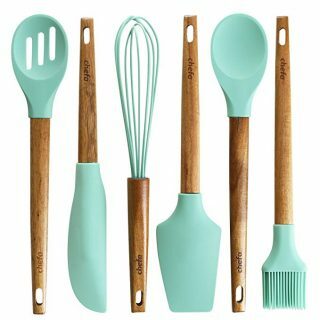 I use salted butter in the Cake Batter and Chocolate Dipped versions too. If you don’t have salted butter, you can use unsalted butter plus 1/2 teaspoon fine sea salt. 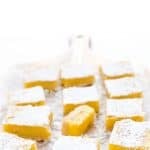 How are these Meyer Lemon Bars different from my regular Gluten Free Lemon Bars recipe? I subbed Meyer lemon juice and zest for regular lemon juice/zest. AND I reduced the sugar a bit because Meyer Lemons aren’t as tangy as regular lemons. That’s it! 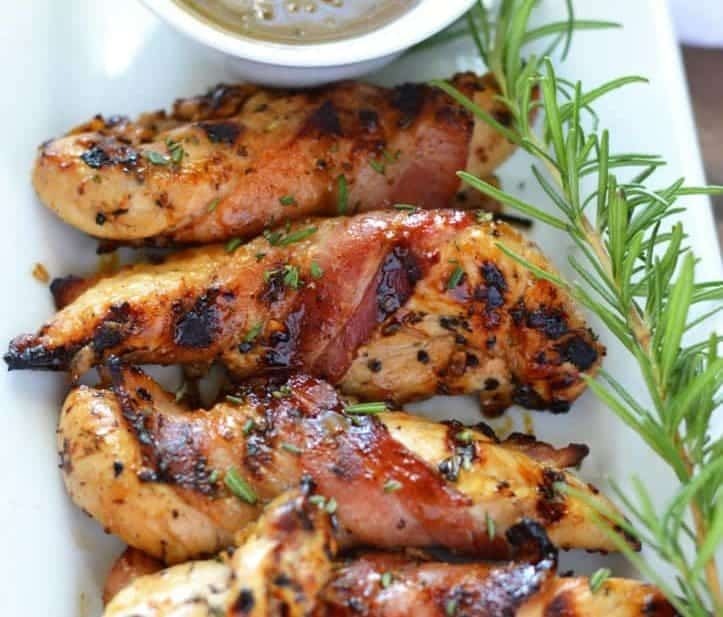 Pretty simple and still oh so delicioso. Step 1. 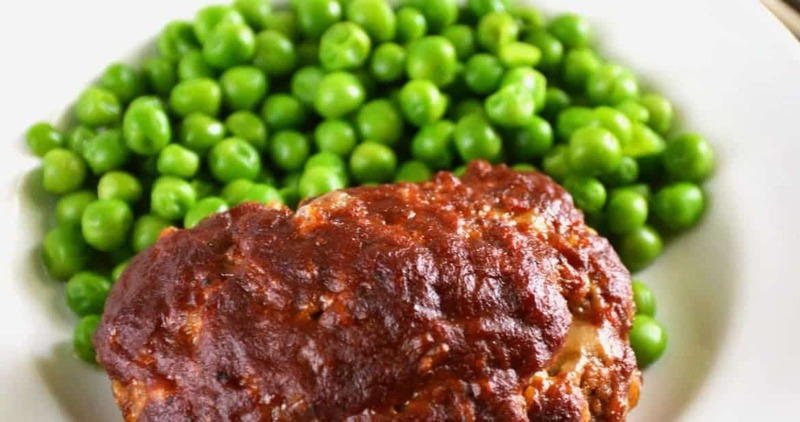 Make the dough in the food processor, then press into your prepared pan and bake. Step 2. Zest your lemons then squeeze them to get that fresh lemon juice and flavor. Step 3. Make the filling then pour it into the hot crust and finish baking. Step 4. Cool to room temperature then refrigerate 2 hours or overnight. Step 5. 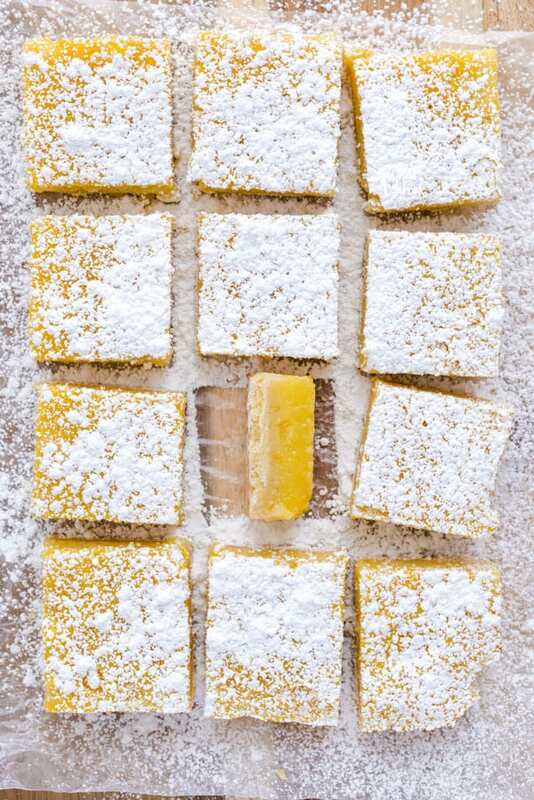 Cut into squares, dust with powdered sugar, then serve! 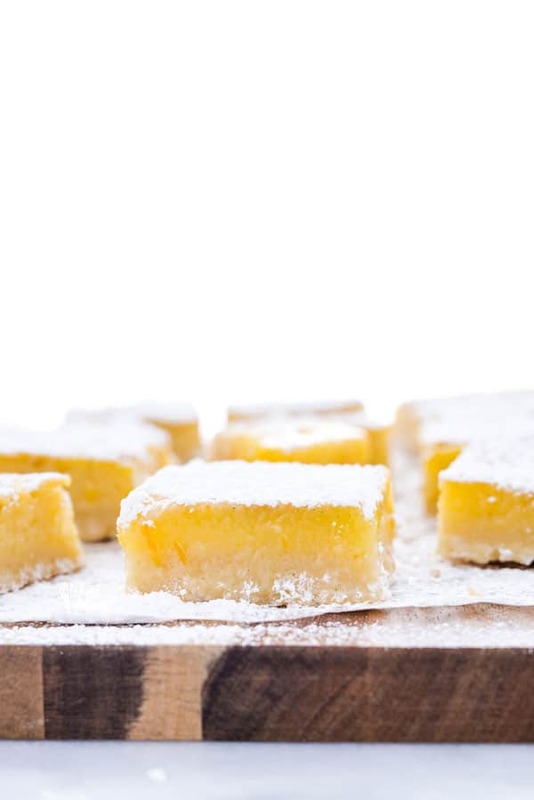 Bake these lemon bars in a glass pan. 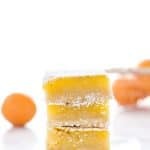 The lemon filling can react with metal pans which will negatively effect the taste. Don’t use bottled lemon juice. Fresh Meyer Lemon juice is key! Take these out of the oven when the center is still slightly jiggly. It’ll solidify as it cools and once cut, they’ll have that wonderfully just-set gooey curd. 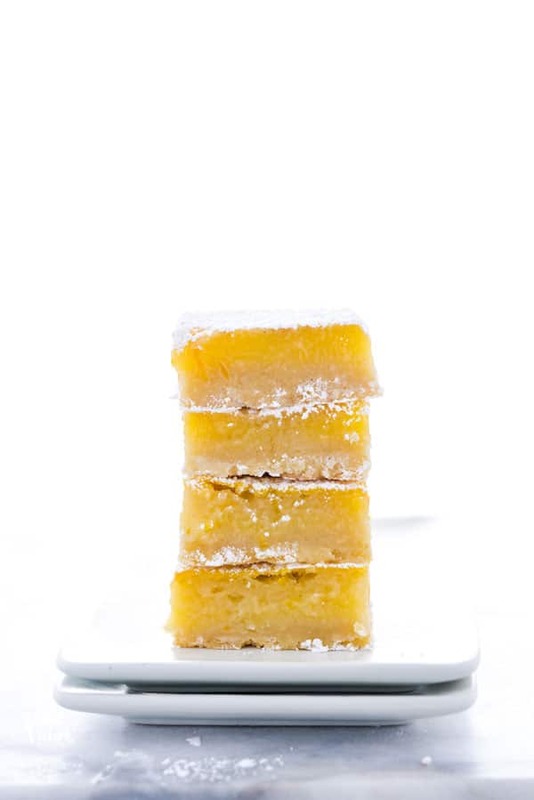 If you prefer a firmer lemon bar, bake until the center no longer jiggles. Don’t let the egg/lemon mixture sit too long before baking. Start mixing the lemon filling about 10 minutes before the shortbread crust comes out of the oven. The crust should still be warm/hot when you pour in the filling. Don’t let it cool to room temperature! 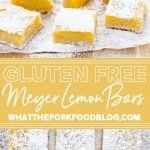 This easy recipe for Gluten Free Meyer Lemon Bars is one you have to try! They're tangy, sweet, and have a crisp shortbread crust. They're simply irresistible! 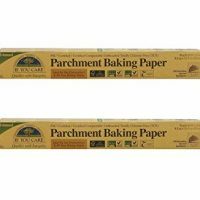 1.Preheat oven to 350 degrees and line a 9x13 inch baking dish with parchment paper. 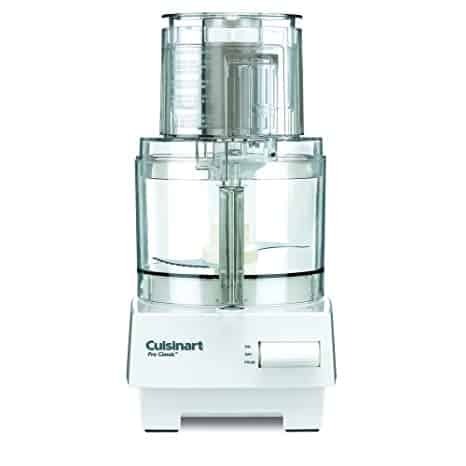 2.Add the flour and and powdered sugar to the bowl of a food processor. Pulse to mix then add the butter and pulse until combined and the dough starts to form into a ball. 3.Remove the dough from the food processor and press into the bottom of the prepared pan, spreading it out evenly and to the edges. Bake at 350 degrees for 18-20 minutes or until the edges are slightly golden. 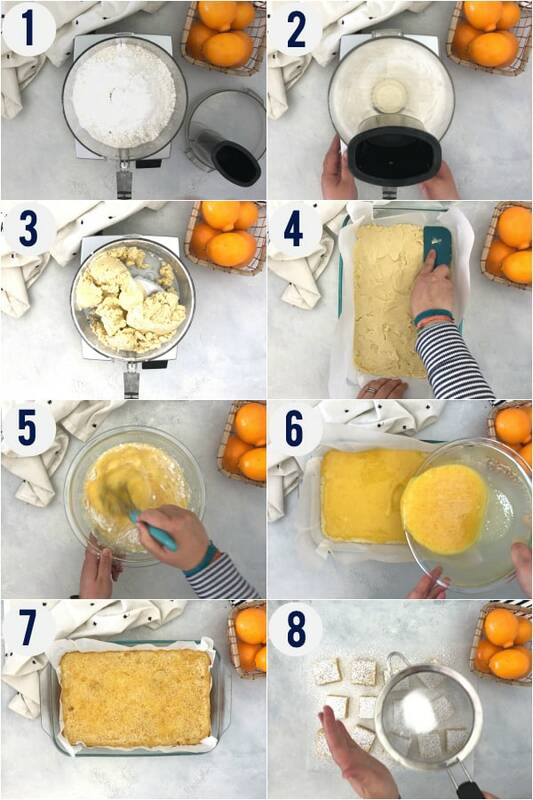 4.To make the filling, whisk together the eggs, granulated sugar, lemon zest, lemon juice, and flour until completely combined. Pour over the baked crust and bake at 350 degrees for 25-30 minutes or until the edges are set and middle is still slightly jiggly. 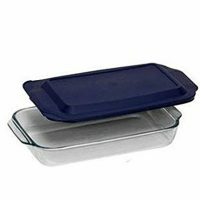 5.Cool completely on a wire rack then refrigerate at least 2 hours or even overnight. Cut into 36 squares and serve at room temperature. Dust with additional powdered sugar before serving. If you use a flour blend that doesn't contain xanthan gum, add 1 teaspoon when making the crust and 1/4 teaspoon when making the filling. The weight measurement for the flour should be used with Bob's Red Mill 1:1 flour only. Other flour blends will not weight the same cup for cup. You can mix up the filling while the crust is baking. Do not cool the crust for long before you add the filling. 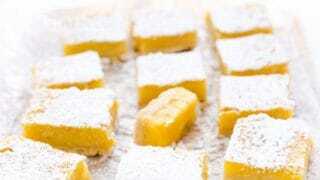 Did you make this lemon bars recipe? Leave a star rating and let me know in the comments! 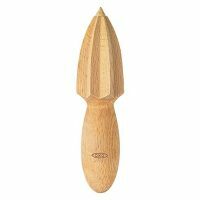 You can also leave a photo/comment on this pin for others to see. These look so good! What a perfect recipe to convert to GF. It is nice when something doesn’t need too much tweaking. Thanks for sharing! Can they be frozen?